The Recipe: What happens when you layer roasted fresh veggies, salsa verde, corn tortillas and spinach with a little cheese? For the poetic, call it pure deliciousness. For the technical, call it de-constructed enchiladas. Either way, you'll be happy to call it for "supper", one for now, another for the freezer. This is the latest "master recipe" for vegetables, a great choice for a fridge or garden full of vegetables. I have a beef, ahem, with vegetable recipes. Not the quick all-vegetable side dishes. Not the vegetable soups. Not the big vegetable salads. No, my beef is with the recipes where vegetables are “supposed” to be the star but then show up in small volume. So I’ve been working on master vegetable recipes that use a lot of vegetables at one time, not a measly half cup split six ways. Remember the Master Recipe for Homemade Vegetable Soup? That was the first Master Recipe and I’m proud that people really love it. My goal is to offer master recipes considered godsends by people who collect random vegetables in their refrigerators, also by gardeners, CSA members and farmers market shoppers. If you love fresh veggies? I hope you’ll love this recipe too. Now I’ll Be Honest With You. When I first made Roasted Veggie Enchilada Casserole a year ago, I decided against sharing it. Why? Because it really does take some time to prep all the vegetables – nothing hard, mind you, just that washing and trimming and chopping vegetables takes time. But then we tasted it! Two hungry men (one a vegetable lover, one who sniffs at vegetables with disdain) both devoured this casserole! So did I! So good! And two weeks later, when I pulled the second casserole out of the freezer and it had held so well? Could you turn this into an around-the-world master recipe? Yes! A Greek version would use fennel, zucchini, eggplant and feta cheese. An Italian version would use Italian seasoning, Mediterranean-style vegetables and romano cheese. Get the itinerary? For two casseroles, one for the now and one for the freezer, I use two Pyrex rectangles, the six-cup ones easily found at Target, Walmart, etc. Newer Pyrex and Anchor glass products should be handled carefully, especially with temperature changes. YIKES, people! Want more information? I did! Pay special attention to this warning. The capital letters are theirs, not mine. FAILURE TO FOLLOW THE WARNINGS BELOW MAY RESULT IN PERSONAL INJURY OR PROPERTY DAMAGE, OR MAY CAUSE YOUR GLASSWARE TO BREAK OR SHATTER IMMEDIATELY OR LATER. What the Today Show said in December 2012, here. What Snopes says about emails that are circulating, here. Results of Consumer Reports’ January 2011 testing, here. Experiences of other home cooks, here. ROASTED VEGETABLES Heat oven to 425F/220C. In a large bowl, combine the onion, poblano, peppers and 2 pounds of chopped vegetables. Add the oil, cumin, garlic and salt and pepper. With your hands, stir the vegetables to coat with oil and spices, working really well to distribute. Spread the veggies across one or two rimmed baking sheets and roast, stirring every 10 minutes, until soft and beginning to brown, about 30 to 40 minutes. The vegetables may be roasted ahead of time for assembly within a day or two. If baking the Enchilada Casserole right away, leave the oven on. SALSA In a bowl, stir together the salsa and cilantro. LAYERS Set up an assembly line to build the layers in one 9x9 or one 11x7 or two 6x7 oven-safe casserole dishes. Repeat the layers three times for a 9x9 casserole or two times for two 6x7 casseroles, occasionally compressing the layers with your hands. Cover with foil. BAKE RIGHT AWAY Bake for 20 minutes. Remove the foil, bake for another 10 minutes or until cheese begins to brown. TO SERVE Let rest for 5 minutes before serving. Cut into servings for plates or serve tableside with a spoon. Serve with fresh cilantro and sour cream. TO BAKE LATER Refrigerate but bring dish to room temperature for about an hour before baking. Heat oven to 425F/220. Bake for 45 minutes or until heated clear through. Remove foil and bake for another 10 minutes until cheese begins to brown. FREEZE TO BAKE LATER Cover tightly, removing as much air as possible from the container. Freeze for up to about 2 months. Thaw before baking. LEFTOVERS Leftovers re-warm beautifully! 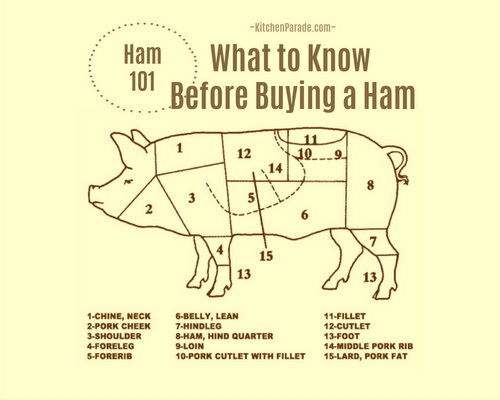 I especially like a small square topped with a poached egg for breakfast or breakfast-as-supper. ALANNA’s TIPS The vegetables will roast more quickly if spread across two baking sheets. No rimmed baking sheet? Use foil to fashion makeshift sides on a cookie sheet, folding the four edges up to contain the vegetables while they roast. Make sure all the vegetables are fully cooked through when roasting. It helps to save a little bit of extra cheese for the last layer. I’ve been using the new Reynolds foil which is non-stick on one side, it works beautifully, releasing even the cheesy last layer. After roasting the vegetables, could you save time and dishes by just mixing all the ingredients together in one big jumble? Yes I think so! NUTRITION INFORMATION Per Serving, assumes 12 servings, 8 ounces chicken, 8 ounces black beans: 212 Calories; 18g Tot Fat; 4g Sat Fat; 33mg Cholesterol; 718mg Sodium; 22g Carb; 5g Fiber; 5g Sugar; 11g Protein. 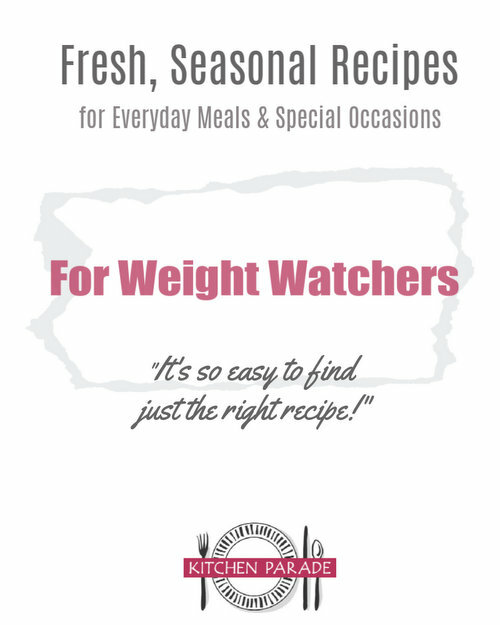 WEIGHT WATCHERS Old Points 5 & Points Plus 8 & SmartPoints 7 & Freestyle 5. This recipe has been "Alanna-sized". I love roasted veggies so I'm sure I'd love this. What a way to get all your veggies in one serving. I will have to check the recipe out on my PC it doesn't show up on my iPad for some reason. Thank you for the information on Pyrex and other glass baking pans. I have boiled turnips, baked turnips, and even pickled raw turnips, but it never occurred to me to roast turnips. How clever are you? This sounds like the perfect Master Recipe for when I am overrun with CSA farm share veggies in summer or in fall. I've roasted and frozen veggies, to be thawed later and incorporated into lasagna or spaghetti sauce, and I think that technique would work well here too (if I didn't want to tie up my dishes for long in the freezer). In January I could pull out an Enchilada pack and whip up this casserole. It looks like perfection ! I love the idea of these easy and efficient enchiladas! And the roasted veggies? Sounds like a wonderful weeknight meal! !